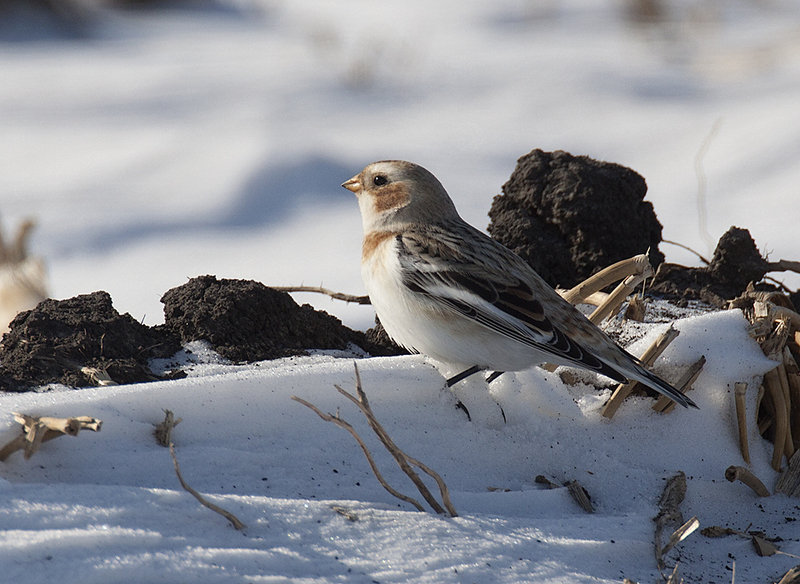 January 19, 2018 – Snow Buntings are a small songbird of the high Arctic, a visitor that can be seen in our area with flocks of Horned Larks and Lapland Longspurs and sometimes in larger flocks of their own species. 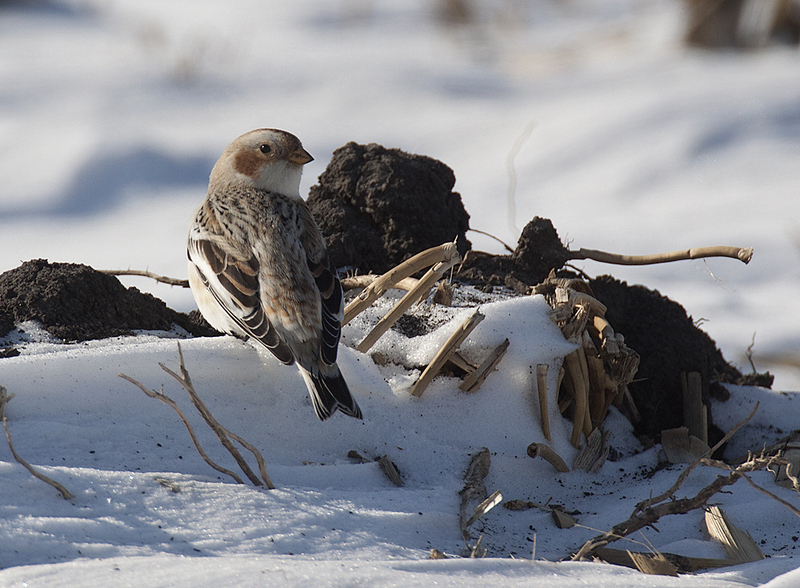 During the winter months here in Illinois they can be found feeding on dropped seeds along roadways or in the harvested agricultural fields. An interesting fact of these little birds, unlike other birds that can claim and alternate plumage, they only molt once and that is in the late summer. By the time spring rolls around and the Arctic breeding season is underway the browns and tan colored tips of their feathers are worn off showing mostly pure white with coal black wingtips. During their breeding season there are only a few slight differences in the plumage of the female and male.